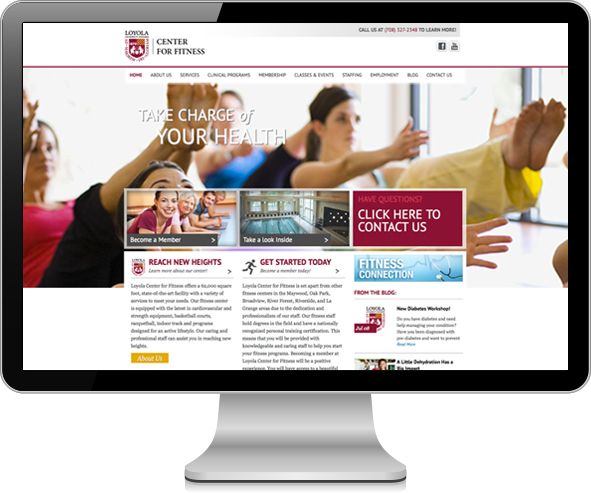 Loyola Fitness Center for Health & Fitness was in need of a web presence fitting of their state of the art facility. Their current site was out of date and didn’t allow them the ability to easily update its information. 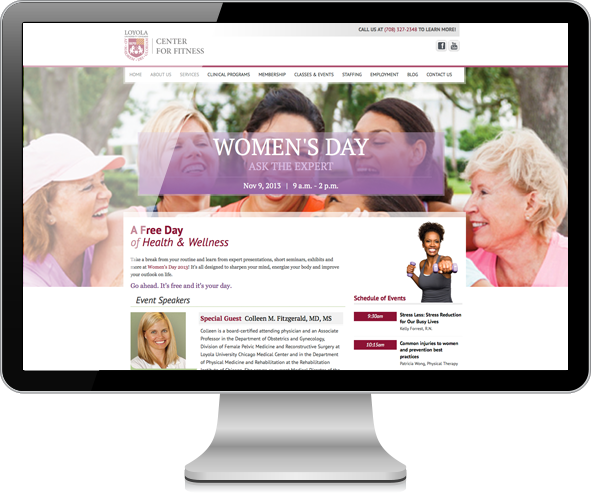 Curtis took an image-centric design approach to showcase the expansive beauty of the center and built the site within WordPress to allow for ease of internal updating. 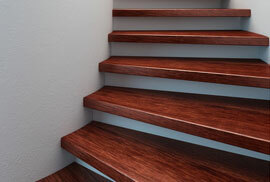 To help with organic search engine optimization, keyword analysis was performed and the site was optimized to align with their demographic’s market segment.